As I was updating and checking links, I found the link to Dr. Garlinghouse's iconic article on Deciding When It's Time, originally posted on Ridecamp, is no longer active. I have taken the liberty of posting it here, with the forward from Dr. Eleanor Kellon as posted in the ECIR group. Because winter is often a difficult time for our senior equine and other furry companions, I chose to post it as a reminder - perhaps mostly to myself - to try to see things clearly before a crisis gives no choice. This was posted by Dr. Garlinghouse on Ridecamp in the summer of 2007 and is reprinted here with permission (with a foreword by Eleanor Kellon, VMD). The discussion below is an excellent general blue print for how to objectively approach the decision to euthanize. It is geared primarily to animals facing age/chronic conditions. There are also some acute conditions you may face that, while extremely painful to watch, will indeed pass. Hoof abscesses is a good example. These can be painful enough to keep the horse down or 3-legged lame most of the time but once the abscess bursts the pain is rapidly relieved. In addition to the excellent advice below, I'd just like to add that before making the decision make sure you know the cause of the pain, what the usual course of the specific condition is and last, but most important, forget about anything and everything that everyone else is telling you and take a private moment to look deeply into your horse's eyes. You'll know. Also, if you are not faced with having to make the decision because of an acute worsening of the horse's condition give some thought to a ceremony/celebration on the day of passage. Let all your horse's friends say good-bye. Bring together those close to you so that you can laugh and cry together. Give him a good grooming, a nice walk, a meal of all his favorites and take lots and lots of pictures. This is the part of the cycle of life which we really don't understand and there's no avoiding the pain, but the level of your pain will be in direct proportion to how special your horse is. It's a tribute. First of all, I agree with [the] comments that sending them on their way a touch too early is preferable to too late; and also that a shorter, comfortable life is preferable to a long, miserable one. That would also be my preference for myself, as well, though it hasn't yet been put to the acid test. Since I'm a vet, I have to have "the talk" with owners on a regular basis. I also very often hear the comment, "this must be the worst part of your job." And that's not true, because in virtually all cases, I'm doing a profound kindness for the animal, and very often, for the owner as well (though they may not always realize it at the time, if ever). At least a part of why I chose to become a veterinarian instead of a human physician is because I can do for a suffering animal what we won't do for a suffering fellow human being. So I think one of the first things to consider, when wondering whether it's "time", is that you are in all likelihood making a kind decision on your animal's behalf, at least when the animal is having a significant amount of pain just getting around. Please don't take this that I'm advocating "getting rid of any pet just because it's no longer useful"---I'm not. I have my share of creaky animals that will continue to live out their lives as long as I can keep them comfortable and happy. When I can't, then regardless of the personal pain their loss will cause me, it is my responsibility as their caretaker to relieve them of theirpain, even when that solution entails a humane death. When I'm talking to clients that are asking whether or not it's time, I suggest that they make a handwritten list---don't just keep a mental tally in your head, because then it's easy to give yourself a selective memory when you want to avoid a difficult decision. Write it down and keep it somewhere safe and easily found. The list should entail all the things you know about that animal that define a quality, enjoyable life for THAT animal---maybe not even at the prime of its life, but as a happy, healthy animal with some good miles left. They can and should include big things like eating with appetite and enjoyment; the ability to move themselves to different areas to eat, drink, relieve themselves, thermoregulate and socialize; and they can be little, individual things like flipping their tail over their back to skip across the pasture, or playing fetch with the stuffed bunny, or wanting to go for an outing of some sort, etc (obviously, things appropriate to the species involved). It should, if appropriate, also balance the need for invasive, uncomfortable medical therapies---a gram of bute a day obviously isn't a big deal, while daily care of deteriorating, painful, non-healing wounds are another. Just as with anything data-point related, the longer the list, probably the more accurate it will be in defining the animal's life. Then start marking off the things as the animal no longer can or will do them, or only does with great difficulty. And don't cheat. If the animal can only turn around by slowly hopping, or limping so that bystanders wince, or won't move at all when it easily would have a few years earlier, then it's time to cross off "gets around with reasonable comfort". When you've crossed off half your list, it's not time yet, but definitely time to be paying more attention, and monitoring little extras to make their life easier. When two-thirds to three-quarters of the list is crossed off, it's probably in the not-too-distant future, depending on whether the remaining list-points are big things, or little things. It's pretty individual. IMO, when 80% of the list is crossed off, it's usually time to say thank you, I love you, and goodbye; and if you've crossed off 90% or more off the list, you've waited too long, which is a pretty poor thank you to a good friend. These are just guidelines, not rules. The concept isn't mine, it was originally put together by some counselors that specialized in pet-loss issues, as well as other veterinarians and a random ethicist or two. I think it works pretty well, and not only helps avoid too-late animal suffering issues (sometimes), as well as hopefully some of the feeling that many owners subconsciously get of "I'm murdering my animal, I'm a bad person", which has been well-documented in multiple studies. I think the key element in deciding "when" is not based on when is the kindest time for *you*, but when is the kindest time for your animal. It's rare that the two coincide, and if we're to be responsible caretakers for our animals, we have to choose to take on some extra pain for their behalf, so they don't have to for ours. 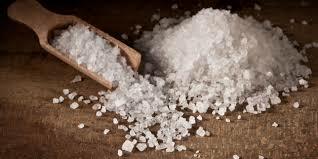 Winter Salt - and avoiding dehydration. A quick reminder - don't skimp on the salt just because it's getting colder. Even in the Southwest with the crazy weather - record highs in the daytime and cooling down at night, many horses are less inclined to drink enough water. In most areas, horses are transitioning from pasture to hay for the winter with it's much lower moisture levels - and even when pasture is still available the moisture content is usually much lower than spring and summer grass. This transition is a critical time for impaction colic as total water intake is reduced. For older horses this is compounded by the lower levels of saliva they produce even in optimal conditions. Can we prevent impaction colic related to low water intake? Adding salt to your horse's feed will help trigger thirst and increased drinking. If you haven't already made a habit of adding a Tablespoon of salt to the feed, it may take some time for your horse to get used to the taste - start small with just a sprinkle and work up to an ounce a day for the average horse. Don't rely on salt blocks - horses generally can't get adequate amounts from them - but a plain white block should be available as a backup. If you see the block being worn down from use, that's an indicator you probably should be adding more salt to the feed. Loose salt is a good option but you need to protect it from rain and monitor intake. It's also important to monitor water intake. I prefer to not use automatic waterers so I can quickly judge how much water my horses are drinking. For an average size horse we want to see them drinking at least five gallons a day, and preferably closer to 8-10 gallons when on dry hay and feed. Automatic waterers need to be checked frequently - and an alternativee water source supplied if there is a chance they might freeze. If you do have automatic waterers, learn how to check you horses hydration by doing a skin pinch on the neck - it should "snap back" within a second or two - and press your thumb on the gums to check capillary refill - the spot you pressed should pink up again within 2-3 seconds. A horse becoming dehydrated will appear "gaunt" - even if they have good body condition - a telltale spot to check is the flank right in front of the hip. Another sign is "sticky" mucous membranes and manure that appears dry. Whether your use tanks, buckets, automatic waterers or a combination, consider the reliability of your water source. Could a storm cause power outages which will keep your well from functioning or cause the water company's pumps to fail? Think ahead and prefill extra tanks and buckets if they might be needed. In warmer parts of the country, we're usually not as well prepared for freezes and may need to resort to bringing warm water from the house if there is a hard freeze. Lining buckets or trash containers with clean garbage bags then closing the tops will let you transport full buckets without half of it splashing out. If you suspect your horse is becoming dehydrated, try to provide as much wet feed as possible - soupy beet pulp or hay pellet mashes, well soaked hay. Even if the hay freezes, as long as the horse eats it they'll get the benefit of the moisture. I'm saddened every time I hear of a horse with a winter impaction which might have been avoided by monitoring water intake and the most important supplement of all - plain white salt!